Led by the Government, together with retailers and manufacturers, the switch is driven by a need for us to globally reduce our energy consumption and carbon footprint. 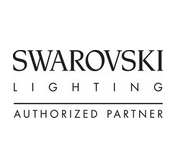 In response to the phasing out of incandescent bulbs, we’ve seen the lighting industry introduce new and improved technology, with brighter and more efficient lighting designs, without compromising on style. We’ve come a long way from the early days of low energy bulbs, when they were bulky, flickered as you switched them on, took an age to ‘warm up’ and then only offered a gloomy imitation of the light we’re used to. CFL’s are now available in a wide range of shapes and sizes. The technology used is fast and efficient with a range of colour temperatures to mimic the traditional tungsten filament light that we’re most used to. These are the energy saving king as they use very little energy and are designed to last a very long time (claims of 25-30 years). The technology behind LED bulbs is relatively new, but it is developing quickly as popularity increases, which also means they’re gradually coming down in price. 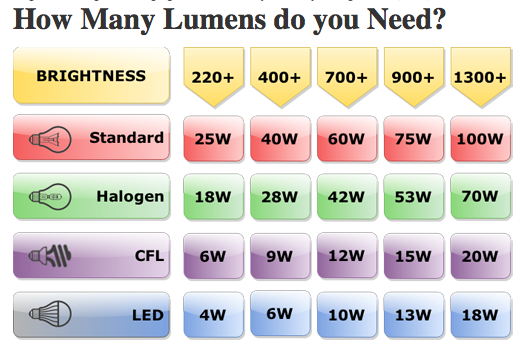 Originally, LED light bulbs were available only in lower wattages and lumen levels. However, this is improving all the time and brighter LEDs are being introduced to the market. Not all LED bulbs are dimmable, the best thing is to take a look at the packaging or check with the manufacturer. While not as energy efficient as CFL’s or LED’s, ECO-halogen bulbs look most like the traditional bulbs that we’re used to, are easily dimmable and emit a good quality of light – they also cost a fraction of the price to buy. The key difference is on the inside, where you’ll find a small, transparent lozenge as opposed to a coil of filament. As with any technological development the introduction of new types of bulbs, has brought a need to look at things in a new way. In the past when buying light bulbs we would have looked at the Wattage to determine how bright a bulb will be. Most of us knew what to expect when fitting a 60-watt bulb in a table lamp or ceiling rose. However, Watts measure power consumption rather than brightness. As low energy bulbs are designed to use fewer watts than traditional incandescent bulbs, it’s not a measure that you can look at to gauge brightness. To get a feel for how bright a bulb will be you now need to look for a bulb’s Lumen output (lm), which manufacturers are required to put on their packaging. The higher the number of lumens, the brighter the light.